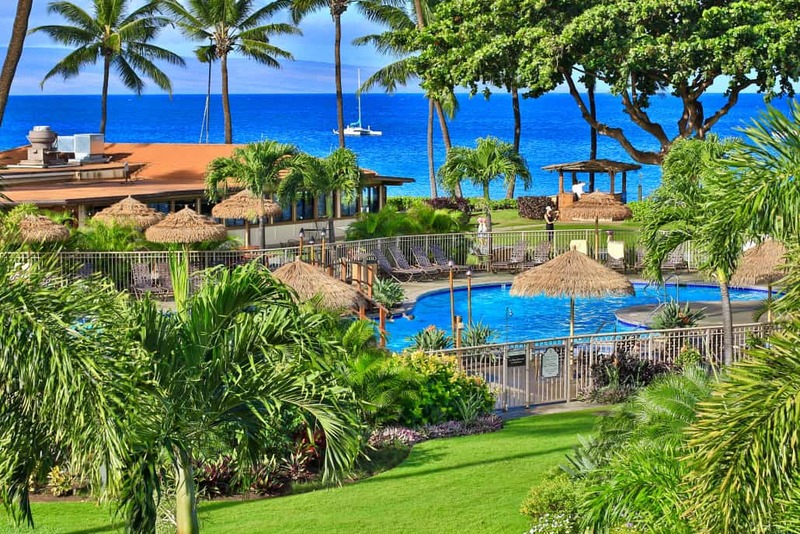 When you stay with us you’ll be transported to a time when simplicity and fun defined the everyday lives of Maui’s locals. Forget the hustle and bustle and embrace the days spent soaking up the sun on Kanaapali’s white sand beach, swimming in Pacific Ocean, and exploring the beauty within the island. 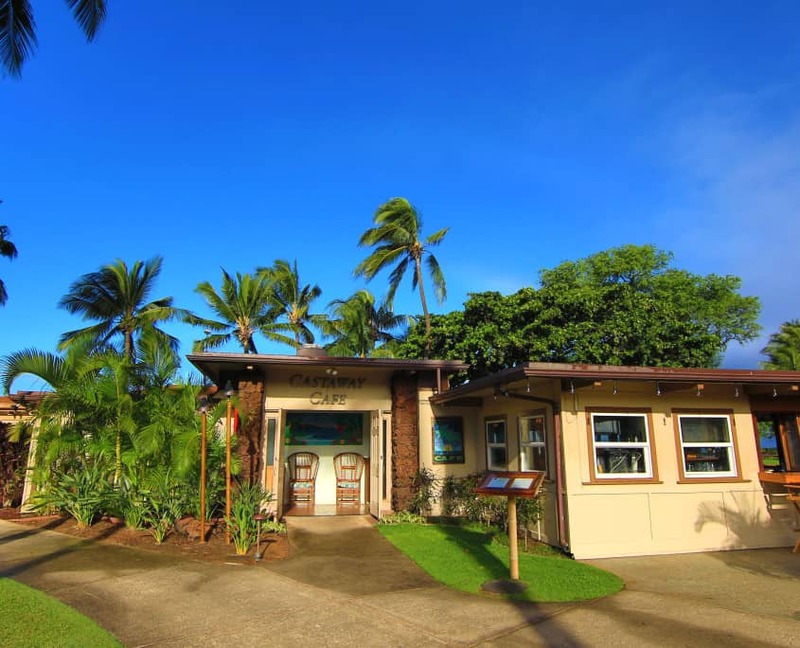 A typical day at the Villas includes a morning stroll on the empty shores of Kanaapali Beach, breakfast at a beachfront restaurant, a swim in our oversized pool, a snorkeling excursion, lunch on your lanai, and an afternoon shopping at Whaler’s Village. Have a casual dinner and nightcap before making your way to the hot tub. 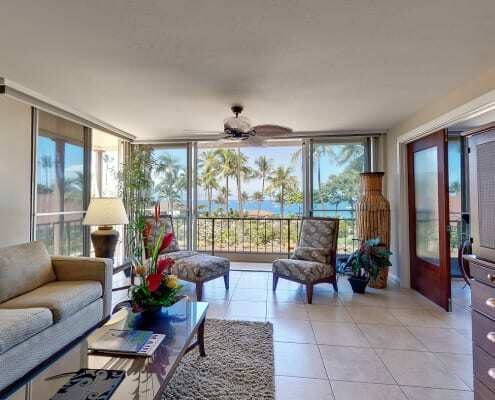 Fall asleep underneath the Maui sky in your cozy villa. You’ll wake up energized, eager to do it all again. View a map of our property. Each room is appointed with modern amenities. Upgrade to a Premium Suite and enjoy a more indulgent experience. Enjoy on-site dining at Castaway Café, a hidden treasure located beachfront on Kaanapali Beach. 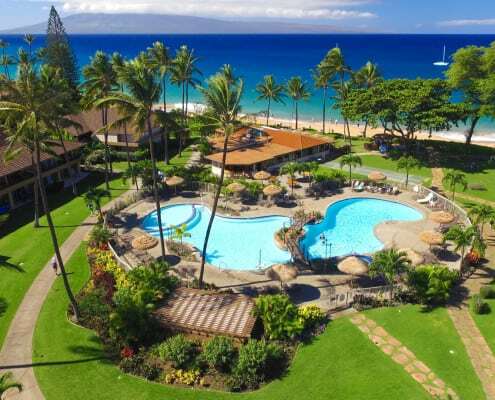 Take a visual tour of our Maui resort, situated within 11 acres of exotic tropical gardens and white sand beaches. *A $20.00 per-room, per-day (plus tax) facility fee will be added to the daily room rate. 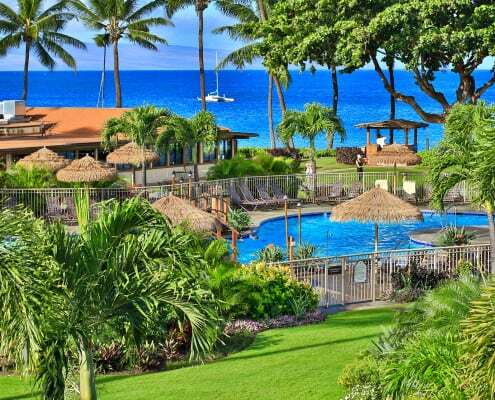 This fee allows guests to enjoy many resort services and activities without having to incur additional miscellaneous charges. ($) Indicates a separate fee applies.